The last week of September is shaping up to be a good one! Our math studies will focus upon finding unit rates. 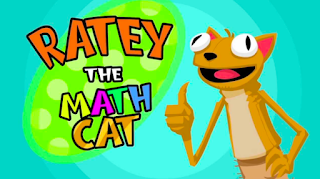 To help you understand this skill, I'm excited to introduce you to Ratey, the Math Cat! He's a cat that's GREAT with rates! Here is a great resource you can use to practice finding unit rates. The answers are found at the bottom of the sheet. Please complete your weekly math journal found at Google Classroom and your online TenMarks assignment. Both of these followups (in addition to your Monday and Tuesday night homework assignments) will help you understand how to calculate unit rates. Your LAST math quiz of the term will take place Thursday! Your science studies will allow you to continue your research concerning plate tectonics. Use your work time wisely to complete your choice sheet. Your three works are due by Friday. Your final test on plate tectonics will take place Friday, as well. This will be your LAST science test of term 1! Use your study guide to help you prepare. I've included a copy of each below in case you need to reprint them. Be looking forward to Friday, because it is a special dress down day! Bring in $1.00 to participate. All of the money collected will be donated to Wyatt Wrath to help pay for his lymphoma treatment. This is a great way to show your support for a schoolmate in need!